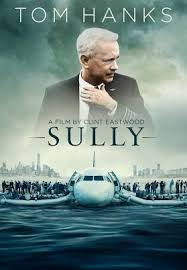 Review: A thrilling portrait of Chesley Sullenberger, an American pilot who became a hero after landing his damaged plane A320 on the Hudson River. The Airbus was full with passengers and crew and he saved them all. I do not remember this story being on the news. I just find it an incredible story. This did remind me of the Denzel Washington film Flight, 2012. There is a scene in this where the pilot is looking through the instruction manual for help. I have been thinking about this scene and do not know whether it is a good or bad sign. Should they automatically know what to do if there is a problem like this or were they just reassuring themselves? What the captain did was just incredible and for not even one person losing their lives. I was surprised at how quickly all the boats came to the rescue. There wasn’t even any shouting or screaming between the captain and the pilot. They just very calmly without any fuss bought the plane down and got everyone out. There was no bickering between them both. I thought that Tom Hanks did a really good job in looking like the actual Chesley Sullenberger. As good as he was it is not his best performance. The actual Airbus aircraft that was involved in the incident was recovered from the Hudson and placed on display at the Carolina’s Aviation Museum in Charlotte, North Carolina. One thing I liked about the film was that it wasn’t too long. Somebody quotes in the film that “it is a happy story” which is a rarity in New York or at that particular time in history. Chesley Sullenberger was actually involved with this film and helped write the script. He also supported the movie and helped it to reflect on reality. Because the captain landed the place so successfully and everyone survived you could say this it is a film more about the investigation into the plane and what went wrong with the engine etc. It is a really tense film to watch.